While researchers have made great strides in studying sleep apnea and developing treatments for it, there is still a large amount of misinformation available about the condition. Here’s a look at some of the most common myths surrounding sleep apnea and where they get it wrong. "Snoring is always a sign of sleep apnea." It’s true that snoring is a classic symptom of the condition, but that doesn’t necessarily mean that every person who snores is suffering from sleep apnea. Other factors, such as a person’s sleep position, allergies, and aging can all contribute to snoring, so it’s best not to assume it’s apnea from this one symptom alone. However, if other symptoms of sleep apnea are present along with snoring —such as daytime drowsiness—it may be worth investigating the cause. "Only obese people get sleep apnea." There’s no denying that obesity is one of the most common causes of sleep apnea, but people who maintain a healthy weight can still develop the condition as well. Other risk factors include gender (more men have apnea than women), a family history of the condition, and naturally narrow airways—none of which have to do with a person’s bodyweight. "People diagnosed with sleep apnea have no choice but to wear a CPAP machine." CPAP, or continuous positive air pressure, machines are masks that are worn to bed, and they are the most common and effective way to treat sleep apnea. However, that doesn’t mean they are a person’s only option. Some other potential remedies include weight loss, sleeping on your side or stomach, and surgery. In addition, those with only mild sleep apnea may find some relief with a specialized nighttime mouthpiece instead of the full-blown mask. "Sleep apnea is not a dangerous condition." While people don’t die from sleep apnea itself, it can cause symptoms that can prove to be deadly. For example, people suffering from sleep apnea-associated daytime drowsiness are at a higher risk of car crashes, since falling asleep while driving can be a prevalent problem. In addition, sleep apnea puts people at a higher risk of other conditions such as heart attacks, stroke, and cancer. 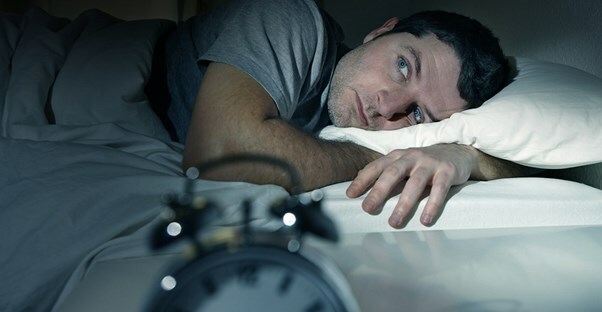 "Sleep aids can help treat sleep apnea." It might seem to make sense that using sleep aids such as pills or even alcohol can help a person with sleep apnea get a good night’s rest, but things like these can actually make the condition worse. Sleep aids cause the muscles in the back of the throat to relax even more than they already are, which can lead to even more breathing interruptions at night.